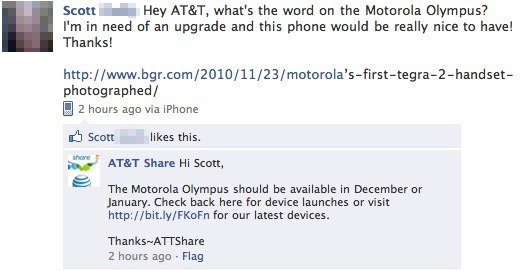 While we originally heard that AT&T would start selling the dual-core Motorola Olympus by the end of January, it now appears that the phone may be available earlier - according to a Facebook message which has since been deleted (see below), the handset may go on sale as early as December. Unfortunately, AT&T, who posted the message, later stated that "we don't have any information to share about upcoming devices" and that the message was posted "erroneously," so not much else came out of the leak. A pair of images circulated around the tech blogosphere this morning, showing what are purported to be the first glimpses of Motorola's now legendary Olympus, aka "Terminator", device. The Tegra 2 handset appears to take plenty of design cues from the newly-reviewed Defy, matching the rugged phone's rounded corners and flush capacitive buttons. 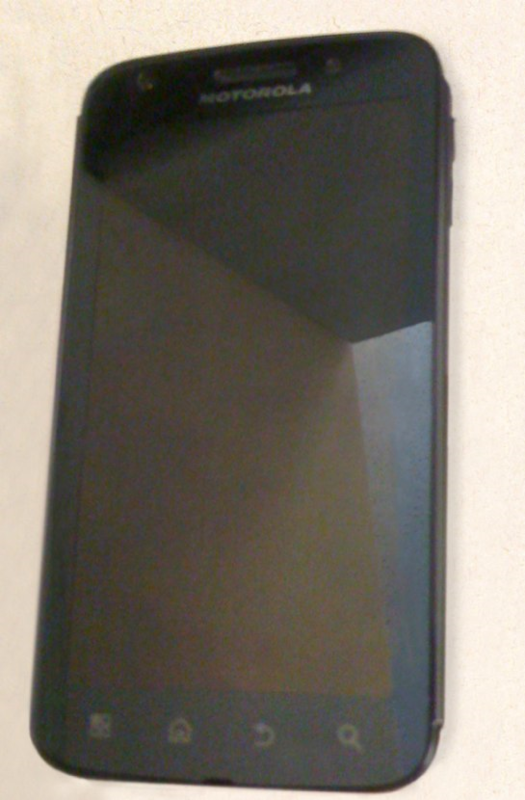 This is quite the departure from the unashamedly square design of Motorola's previous Droid iterations, but bears striking resemblance to a certain Nexus S.